Jennifer approaches every student as an individual, and finds enjoyment in learning more every day how to make music accessible and fun for each student. Teaching both violin and viola in both Suzuki and traditional teaching styles, Jennifer has 14 years of teaching experience. The feeling of having an instrument placed on your shoulder for the first time is something Jennifer hopes every child has the chance to experience. 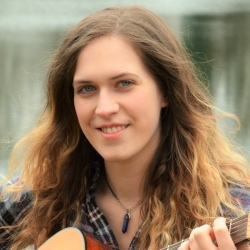 Jennifer nurtures the idea that music should always be fun, and loves to teach her students songs they want to play from movies or songs they know. Originally from Atlanta GA, Jennifer Picard began playing the viola at age 12 after falling in love with film music, particularly the music from Star Wars and the music of John Williams. The first time Jennifer saw the Atlanta Symphony Orchestra in concert, she couldn’t help but notice the wordless communication amongst the players in the form of occasional glances and smiles. They were playing Mozart and having a grand time doing so, and Jennifer was fascinated. She knew then without a doubt she wanted to play music for the rest of her life. One year later she joined The Metropolitan Youth Concert Orchestra and made her first concerto debut with the Buckhead Youth Orchestra at age 14. Eventually joining The Atlanta Symphony Youth Orchestra, she looked forward to spending every weekend playing and rehearsing with her friends in an orchestral setting. Playing in a symphony orchestra has always been Jennifer’s greatest source of inspiration. Jennifer attended Georgia State University for her undergraduate studies in performance, studying with Tania Maxwell Clements. She attended Northwestern University for her graduate studies in performance and violin pedagogy, studying with world renowned player and pedagogue, Roland Vamos. During her time at Northwestern she also studied orchestral excerpts under Charles Pikler, principal violist of the Chicago Symphony Orchestra. Passionate about all areas of music, Jennifer has enjoyed narrating Britten’s Young Person’s Guide to the Orchestra with the Atlanta Symphony Orchestra, performed two concert series for Collective Soul’s DVD “Home” with The Atlanta Symphony Youth Orchestra, and recently traveled through 19 cities in China with the Hollywood Film Orchestra playing movie music. She is also passionate about historical musicology and the history of the great composers. She used to write program notes for orchestra concerts in her spare time. Jennifer moved to Cincinnati in 2014. 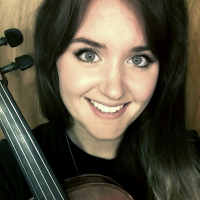 In addition to WFAC she currently also teaches violin and viola with the CCM Preparatory Department at Cincinnati’s SCPA and Hyde Park school. She still tends to her original passion of playing in orchestras on the nights and weekends with symphonies in the area. In her spare time, Jennifer is an avid backyard astronomer.